﻿ DAVINCI Nelson Mandela Square Sandton Johannesburg Johannesburg. JIMAT di Agoda.com! Ada soalan mengenai DAVINCI Nelson Mandela Square Sandton Johannesburg? Menawarkan penginapan yang berkualiti tinggi di daerah bisnes, restoran, beli-belah di Johannesburg, DAVINCI Nelson Mandela Square Sandton Johannesburg merupakan pilihan popular untuk kedua-dua tujuan perniagaan dan percutian. Hanya 18 km dari pusat bandar, lokasi strategik hotel memastikan tetamu boleh ke mana-mana sahaja dengan cepat dan mudah ke tempat-tempat tarikan. Persekitaran yang terjaga dan kedudukan berhampiran dengan Sandton City Shopping Centre, Sandton Square, Bandar Sandton memberi hotel ini daya tarikan istimewa. Kemudahan dan perkhidmatan yang disediakan oleh DAVINCI Nelson Mandela Square Sandton Johannesburg memastikan penginapan yang menyenangkan bagi para tetamu. Khidmat bilik 24 jam, Wi-Fi percuma semua bilik, pengawal keselamatan 24 jam, pengemasan harian, daftar masuk/keluar peribadi merupakan beberapa kemudahan yang membezakan DAVINCI Nelson Mandela Square Sandton Johannesburg daripada hotel-hotel lain di bandar. DAVINCI Nelson Mandela Square Sandton Johannesburg mengandungi 166 bilik yang dihias indah dan menawarkan tuala, televisyen skrin rata, cermin, linen, internet wayarles. Pusat kecergasan, sauna, padang golf (dalam jarak 3 km) , kolam renang terbuka, spa di hotel merupakan tempat yang ideal untuk anda relaks dan tenangkan diri selepas hari yang sibuk. DAVINCI Nelson Mandela Square Sandton Johannesburg merupakan tempat yang ideal bagi penginapan pelancong yang mencari keindahan, keselesaan dan kemudahan di Johannesburg. Very welcoming and friendly staff in all departments. Excellent customer service. Great decor and facility. 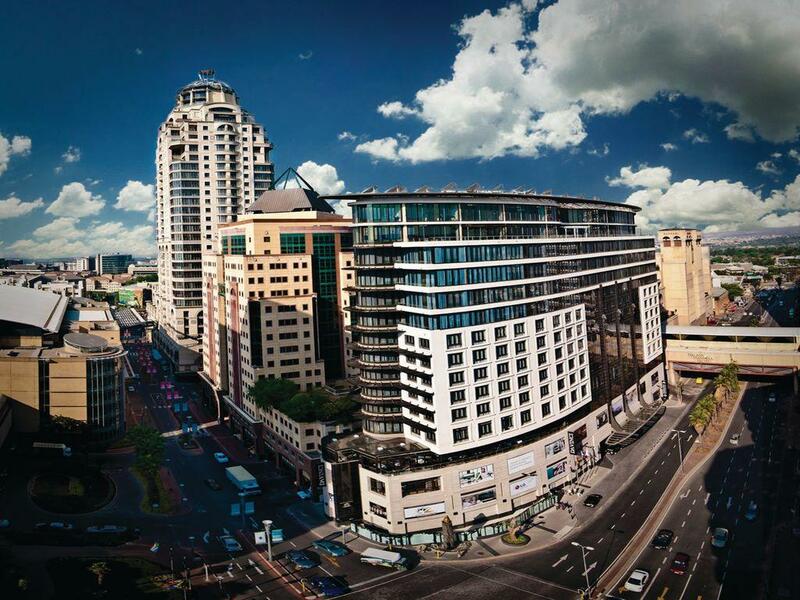 The hotel is well located at the heart of Nelson Mandela square. Easy access to amazing restaurants and shopping experience. I felt like royalty...it was money well spent for my birthday celebration. The hotel is one of the best we have been to. The ambiance, decor and luxury are exceptional. The facility is very well maintained. The service is brilliant. On arrival and checking into our room, we noticed that the room type had 2 options, one with an open bathroom and one closed. We were given the closed bathroom. We called to request a change and within 5 minutes, were moved. Room service is also super fast and friendly. We enjoyed a 3 hour spa treatment as well which was exceptional. This is a definite must for couples that want a short retreat close to home. I will be back there for certain. Oh, and we were also given an hour later checkout (12pm). We only stayed one night for flight transfer, but feel more than satisfied for what we get. The hotel is quite new with black/white simple style, all facilities maintained well. And the location is perfect, it’s at Mandela square with nice restaurants around and also connected to huge shopping mall. We don't really need to step out the building to get everything. And what really differentiate the hotel is the service level. From pick up service till check in, could really feel the hospitality from all staffs. Especially when we have early check out like 7am in the morning, and we mentioned that we would like to send the postcard to friend. The receptionist told us could go to Concierge for help. Not till two seconds the porter named Marcus approached us and said he could help us take postcard to Concierge. And he noticed we have early check out without breakfast. He actively help us make coffee and even pack croissant for us. He’s such a considerable and humble person, and do one step forward for his customers. It’s such a pleasure experience to stay here, we would definitely choose Da Vinci hotel again if come visit Johannesburg. What a lovely hotel to find for my overnight stay between Luanda and Lusaka. Wonderful room and facilities, modern clean design, and very welcoming staff. I was made to feel like a President! I hope business brings me back to Johannesburg. Next time there is no question of where I will stay. It was just a short stay but we loved the modern classic décor to the hotel and room. 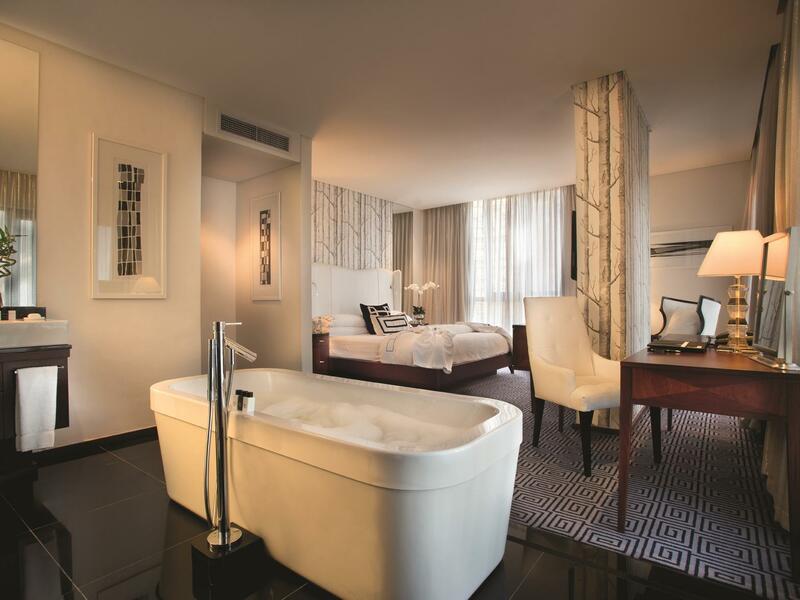 The hotel is at a very strategic location and is just walking distance to the Nelson Mandela Square as well as the Sandton City Mall. The thing that upset us was that this hotel has a very early checkout time, 10am! Wish the checkout time was 12pm just like other hotels. Easy - staff were great, very helpful with extending my stay due to airline cancellation. Nothing was too much trouble. Rooms excellent, very spacious and gorgeous. Comfy bed, big bathrooms. A quick walk or drive to the railway station nearby so a trip to and from the airport was a breeze. I'd definitely come back and stay again! The Da Vinci with its excellent location is the perfect choice for a couple with a baby, the staff are friendly and efficient and the overall experience was worth every cent. The breakfast was bit of a disappointment compared to my last stay but i will definitely stay there again. Thank you for making my stay as comfortable as possible. This is my home away from home. Nice cosy hotel.. not too big, not too much traffic just perfect. You dont need a taxi to go to the mall or bank its all connected.. the staff is a plus very friendly they are...i love it! My husband and I only stayed for one night, but since the moment you set foot at the DaVinci Hotel you are greeted with big smiles. The staff were so friendly and helpful, it made our stay feel very welcome. Will recommend to family and friends. Hotel is in a fabulous location and very easy to catch train from airport thus saving on taxi fares. Staff are attentive and polite. Rooms are big and very well laid out. A large variety of shops are close by. Terrific breakfast available. A great hotel all around. The hotel was nice and location great but I had a room on the road side of the hotel and the windows in the room are old and offer no soundproofing from the numerous sports cars racing around. Located in the center of Nelson Mandela square that can access to many shops and restaurants. Room was big and clean. Parking in complementary for hotel guests.